These walks were initially written for the readers of the Glencairn Gazette by local Writer and Photographer Dave McFadzean who specialises in outdoor pursuits, wildlife, fishing and history. His first walks were local to the village and selected from an area bounded by the Stewarty border at Beech Drive to Dalgonar near Dunscore and over Dunreggan Brae into Tynron Parish and Shinnel Glen. 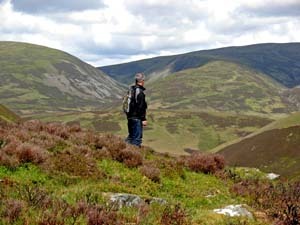 He then expanded his catchment to include walks within half an hour’s drive of Moniaive and, as the series developed, added rambles and hikes from further afield to provide a greater choice. The Galloway and Moffat Hills were included and he even wrote of his climb up Britain’s highest mountain, Ben Nevis. Stravaiging will continue to expand when Dave has time and he plans to include walks from the Scottish Highlands, Northern England and the Farne Islands as well as adding more local walks and possibly a few cycle routes. 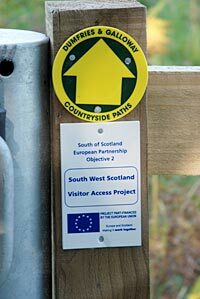 We also intend to include some of Dave’s photographs from his walks.